These exercises will help prevent varicose veins. Although varicose veins cannot always be preventable, exercising and stretching can reduce the chance for development. For those already suffering with varicose veins, there are specific stretches and exercises that may help with swelling and management of symptoms. 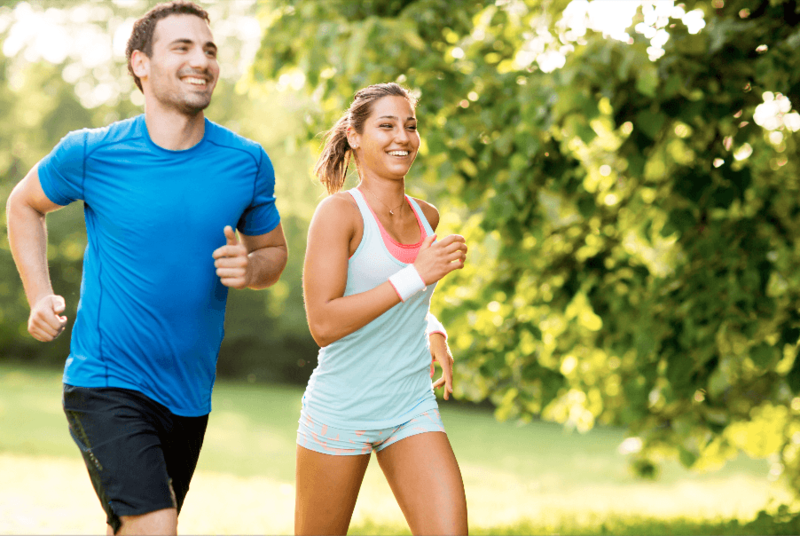 Low impact exercises include walking, bicycle riding, and swimming, are excellent exercises to allow for muscle contraction to squeeze the veins, moving the blood back to the heart. This is equally important when either sitting or standing for long periods, to change positions and walk for a few minutes every 20-30 minutes. Starting a regimen of walking, bicycle riding, or swimming for at least 30 minutes several times per week can allow the muscle to contract and also aid in weight loss or weight management, which can be a risk for development of varicose veins. Running or jogging is a higher impact activity, but can still be good exercise. Running or jogging on soft surfaces, like grass, is preferred over asphalt to help with joints. Aerobic exercises are great for weight loss and to contract the muscles, but there are bodyweight exercises and stretches that can be performed at home to also allow for muscle contraction. While lying on your back on the floor or other firm surface, bend your legs slightly at the hip and slowly move your legs as if you were riding a bicycle, these are called bicycle kicks. Another exercises that can be performed with laying are leg lifts. Slowly raise each leg into the air, as high as possible, pausing at the top, before resting the leg back on the ground. For those who may have difficulty with some of these exercises, while sitting or standing move your feet alternating between having toes in the air and heels in the air. This type of exercise is also ideal while sitting on an airplane or in a car for a certain amount of time. Varicose veins are the swollen, enlarged, violaceous veins that are usually found on the legs. They result from weakness in the wall of the vein or improper functioning of the valve that assists as a barricade, to prevent blood from flowing in the opposite direction. Veins are thin-walled, floppy, tubular structures and therefore rely on the muscle of the body to squeeze them to move blood against the body and back to the heart. Certain risk factors can increase the chance for the development of varicose veins, including family history, being overweight or obese, older age, female gender, or standing or sitting for long periods of time. Perhaps the most common reason for development is sitting or standing still for long periods. This is due to the need of the muscles to squeeze the veins to move the blood. Without movement, this may cause the walls to weaken, or blood to pool within the veins, leading to varicose veins. Even though there are plenty of exercises that can benefit symptoms of varicose veins or prevent varicose veins, there are some exercises that can worsen varicose veins. Any exercise that increase the pressure in the abdomen, such as heavy lifting, squats, lunges, sit ups, and crunches, should be avoided to prevent possible worsening of the varicose veins. Please visit your board certified doctor to explore your possible options for treatment of your varicose veins.